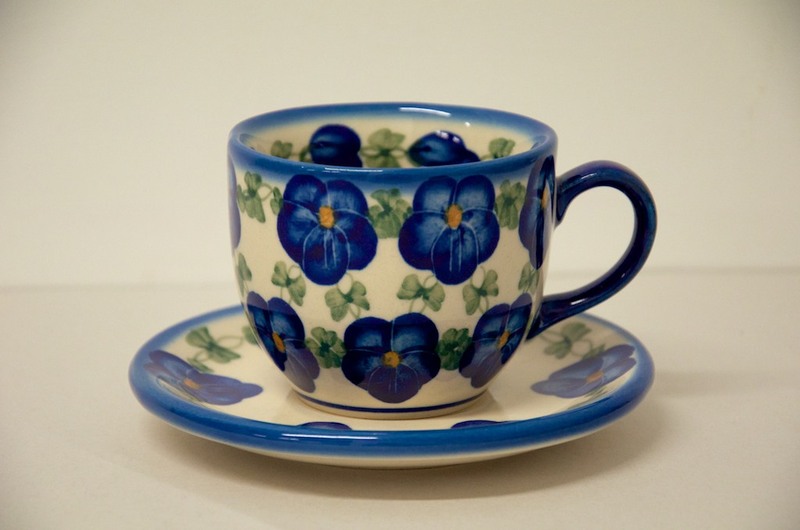 Polish Stoneware Pottery Blue Pansy Cup and Saucer by Ceramika Andy. Each cup and saucer is individually signed by the artist. Dimensions of cup 8.7cm diameter x 7.3cm tall. Saucer 24.5cm diameter.